On January 28, 2013, literature fans celebrated the 200th anniversary of Jane Austen's beloved novel, Pride and Prejudice. 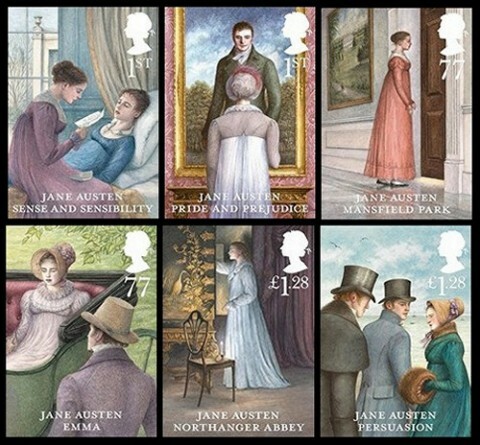 The celebration has apparently spilled into February now that the Royal Mail has announced the release of a stamp collection commemorating Jane Austen's six novels: Sense and Sensibility, Mansfield Park, Emma, Northanger Abbey, Persuasion, and Pride and Prejudice. Said a spokesman for the postal system: "When you think of great British authors, Jane Austen inevitably comes to mind. Her novels have contributed immeasurably to British culture over the last two centuries." 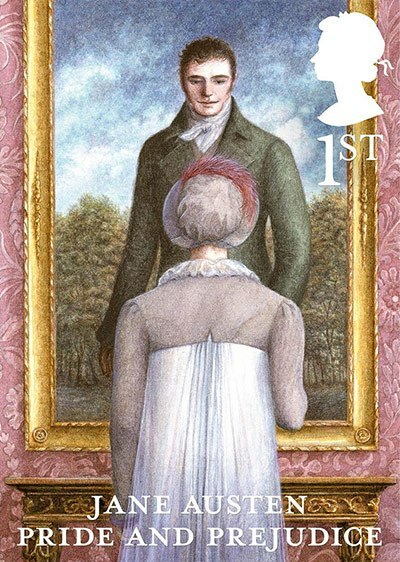 Angela Barrett illustrated the new set of stamps, which can be purchased online by UK residents for £5.30 including VAT. A previous stamp set came out in 1975, to mark the bicentennial of Jane Austen's birth. Note: Austen's six novels can be downloaded from our Free Audio Books and Free eBooks collections, along with many other great works. The stamps are not just restricted to UK residents. Anyone can buy them if they have a credit card. I am in Germany and I buy stamps from the Royal Mail shop all the time. I love her novels, I will also share this post with my blog readers who love collecting stamps.